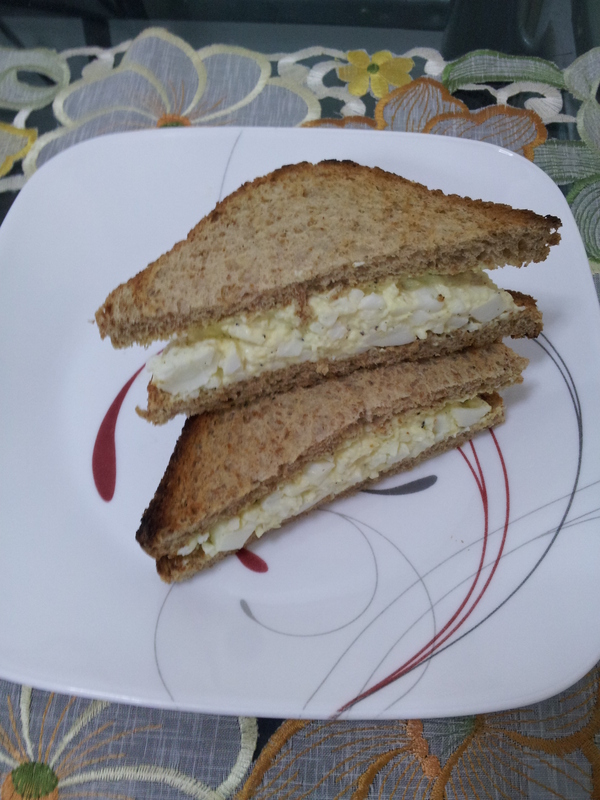 Egg Mayonnaise Sandwich | My Cooking Diaries "CooklikeCecilia.com"
Place eggs in a saucepan and fill with water to cover the eggs. Bring to a rolling boil, switch off the flame and leave covered for 10 minutes. Meanwhile toast the bread and set aside. Drain the eggs and cover with ice cubes to cool down for five minutes. Peel, if difficult to peel you can hold the egg under running water and it will be easier to peel. Place the peeled eggs in a plate and mash with a fork, add the mayonnaise, salt and pepper and mix well. Spread thickly over the bread cover with another slice and cut into triangles. Cut the sides of the sandwich if desired.